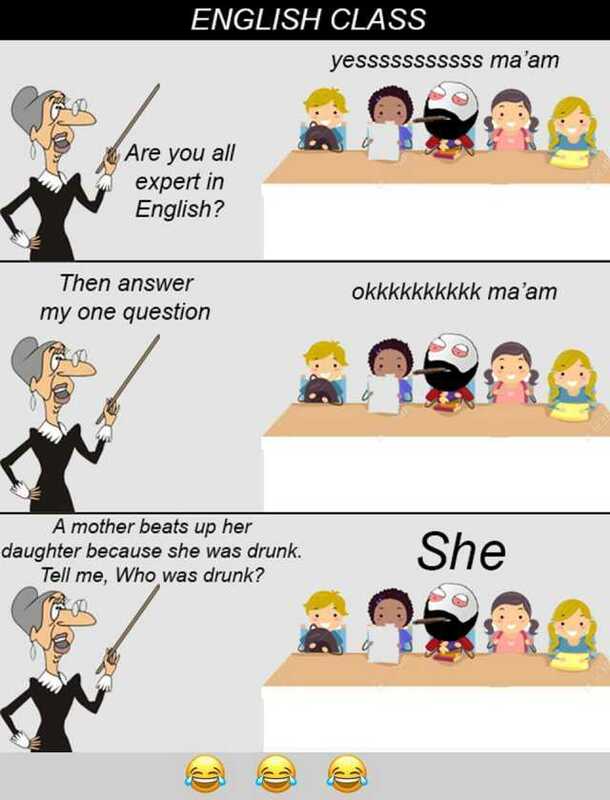 dopl3r.com - Memes - ENGLISH CLASS yesssssssssss maam Are you al expert in English? Then answer my one question okkkkkkkkkk maam A mother beats up her daughter because she was drunk. Tell me Who was drunk? ENGLISH CLASS yesssssssssss maam Are you al expert in English? Then answer my one question okkkkkkkkkk maam A mother beats up her daughter because she was drunk. Tell me Who was drunk?